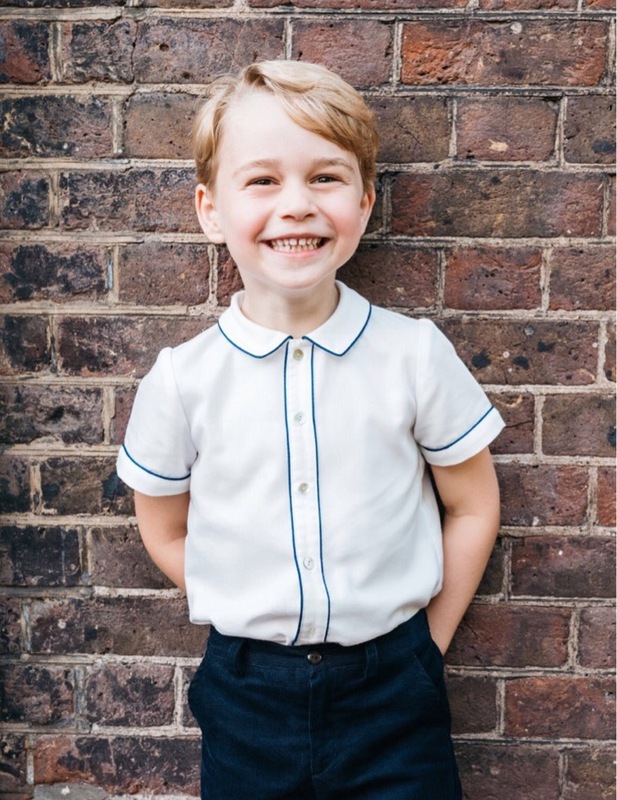 Kensington Palace has just released a new photo of Prince George to celebrate his 5th birthday. And from what we can tell, the young royal looks like a very happy little boy! The photo, which shows George smiling from ear to ear, was taken in the garden of Clarence House by royal photographer Matt Porteous. Prince George has had quite an eventful year. His parents, Prince William and Kate Middleton, welcomed a new addition to their royal family: George’s little brother, Prince Louis. Born last April, Louis joins George and their sister Princess Charlotte in their ever-growing, yet very adorable family. In addition to the birth of Prince Louis, Prince George also managed to steal the show during his uncle Prince Harry’s wedding to Meghan Markle at Windsor Castle last May. He along with Charlotte were members of the couple’s bridal party. A lot of loyal fans couldn’t get enough of George and his friends and how cute they looked throughout the entire ceremony. With so much going on in his life, it’s no wonder that this future King of England needs to take a break. New reports indicate that the Duke and Duchess of Cambridge have taken their entire family on a Caribbean getaway to the island of Mustique. If you were hoping to catch a flight to the island to get a glimpse of the royal family on the beach, we’ve got bad news. Mustique is a private island that is a no-fly zone, meaning the Royals can have fun in the sun without having to worry about photographers or other tourists. In the meantime, let us know what you think by leaving us a line with your thoughts in our comments section below. And as always, don’t forget to check back with Celeb Baby Laundry for all the latest news on your favorite celebrities right here!